Fantastic FREE video poker game made specifically for your Fire TV and Fire TV Stick. Download now to get your 10,000 free tokens! You're always a VIP in our Video Poker game! Enjoy hours of high-rolling fun with three favourite video poker variations, including Jacks or Better, Deuces Wild and the high-stakes Jacks XL. 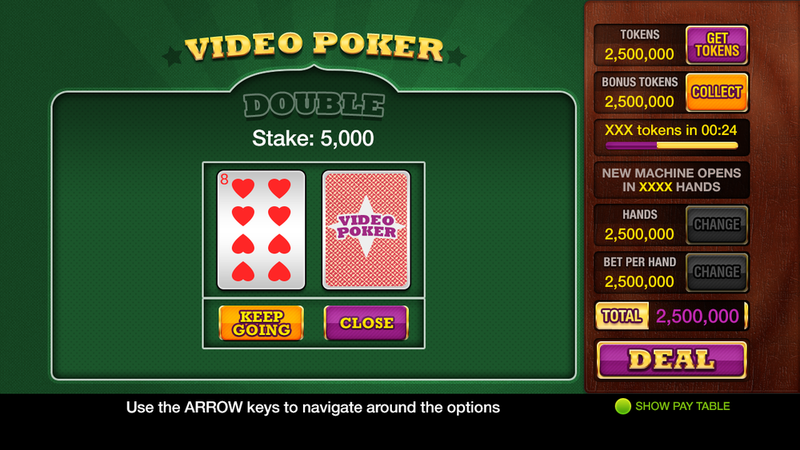 Video Poker is available on Virgin Media TiVo and Amazon Fire TV.